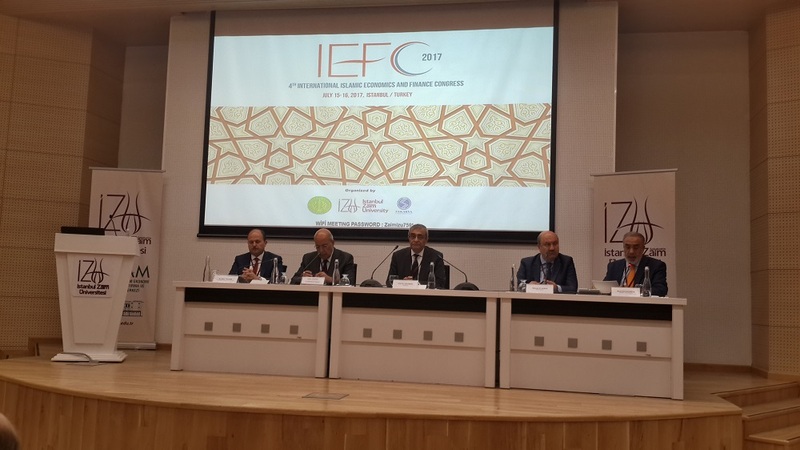 The Fourth International Congress on Islamic Economics and Finance was held on 15-16 July 2017 at Istanbul Sabahattin Zaim University, Istanbul, in collaboration with Sakarya University ISEFAM (Research Center for Islamic Economics and Finance); Participation Banks Association of Turkey (TKBB). HE Amb. 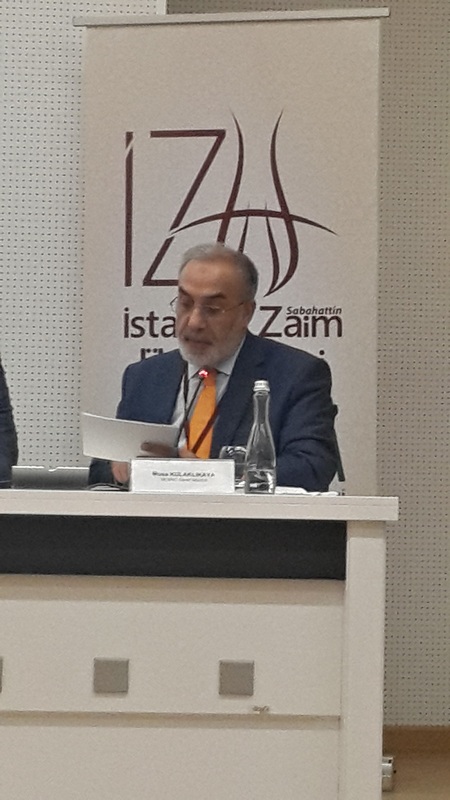 Musa Kulaklıkaya, Director General of SESRIC, attended the opening panel session on “Islamic economics and finance and its solutions to current economic problems”, where he delivered the message to the audience that the global community needs to work out measures for restructuring the international economic and financial architecture, rethink of other alternative systems, and should take strong actions towards reforming the system. A system based on Islamic principles is among these alternatives, and it is widely argued that such a system could avoid the fundamental problems and shortcomings of the conventional system that led the world into severe economic and financial crises. Director General Amb. 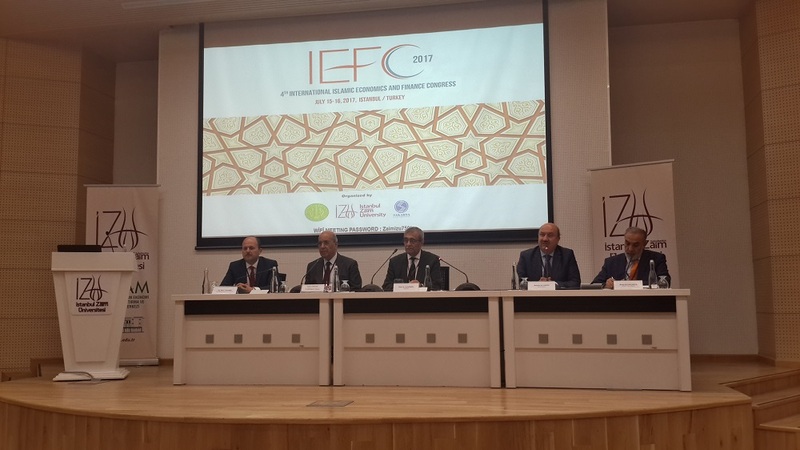 Kulaklıkaya remarked that the recent developments in the world economy, particularly in the aftermath of the global financial crisis, marked and highlighted the potential of Islamic economics and finance as a new emerging paradigm and modern scientific discipline. In this context, the endeavours of academia and research centres are expected to build capacities in the field where more efforts should be made in the spirit for setting a new strategy for future action. 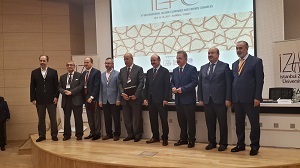 In so doing, this Congress should be considered as a distinct opportunity for all of us as researchers, practitioners and policymakers in the field of Islamic economics and finance to deliberate, among many other important issues, on how we can get insight for promoting the Islamic economic and financial system to take its deserved place in the global arena. Given this state of affairs, and recognizing the fact that there is a need for more comprehensive solutions instead of partial reforms, Amb. 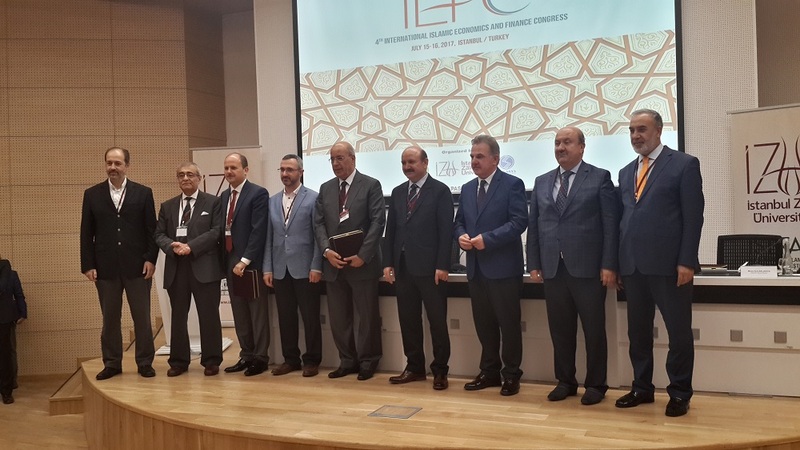 Kulaklıkaya declared, this Congress has a prospect to discuss and debate on various issues related to the potential for innovative robust and practically implementable alternative approaches. Among others, these issues include critical perspectives and new visions for creating a more equitable and sustainable economic and financial system, global financial architecture and the prospects and challenges for alternative systems, such as prospects for a more risk-and-reward-sharing financial system, and capital markets and alternative business models. Supported by SESRIC, the Congress covered theoretical and practical activities; and the training staffs consist of expert academicians and professional practitioners who have publications on national and international arena and command a great respect in their specific field of studies with international recognitions.